File37 (22.10) - Jim Hart – misc. 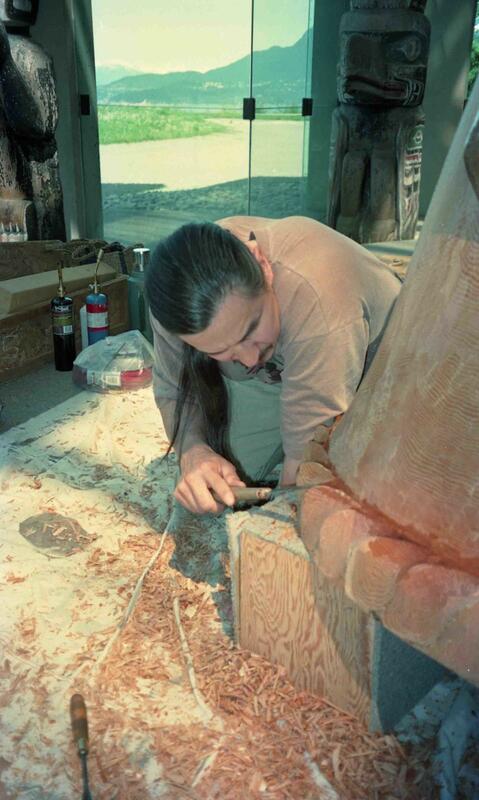 Item is a negative showing a man with a long ponytail, artist Jim M. Hart, carving a large wooden figure. This photograph is also available in print form.